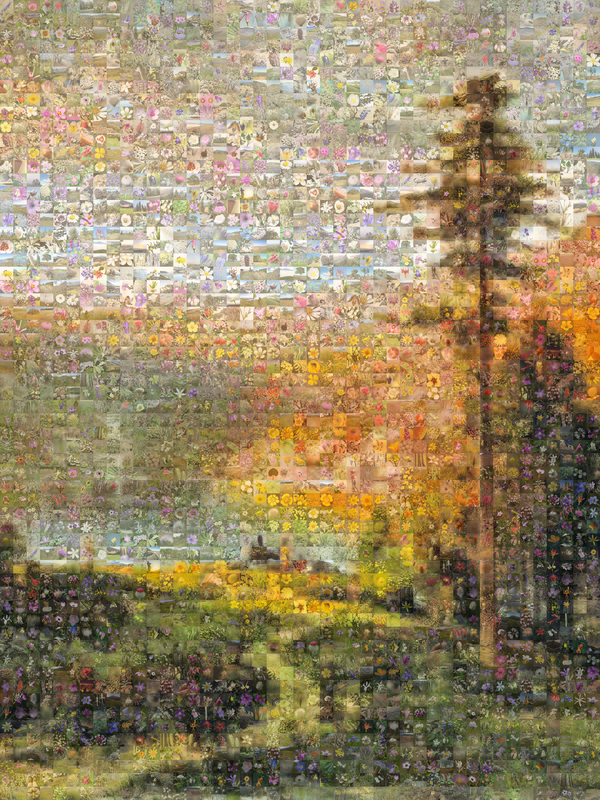 The 50th year memorial cover is a mosaic of 2,700 photographs by 26 CNPS member-photographers. 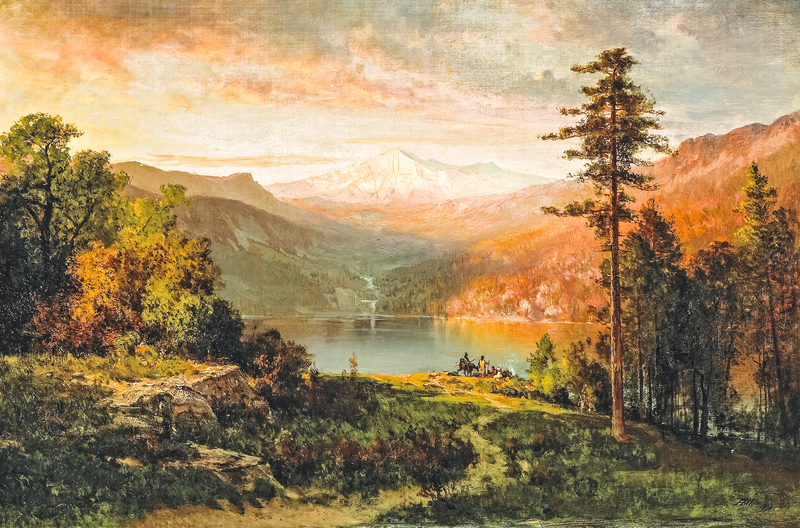 The final image created is a partial reproduction of Thomas Hill’s famous 1869 painting titled “Indian by a Lake in the Majestic California Landscape”. Although the exact location has never been determined, the original painting reflects an aesthetic and wildness that many of our members cherish. Additionally, Hill included native peoples in the image, acknowleging their place in the landscape. In celebration of our 50 years, this cover also celebrates the cooperative and giving nature of our members who helped make this mosaic a reality.